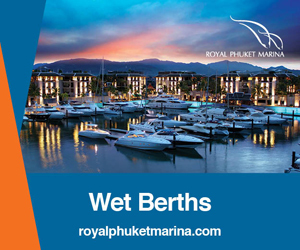 We meet at the beachside setting of the Phuket Yacht Club, with stunning views over Chalong Bay. Home from home for Scott Duncanson. Why? 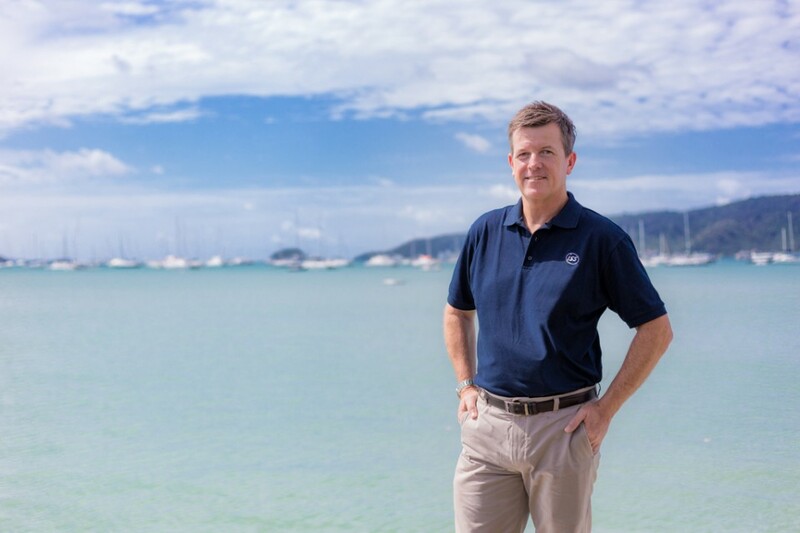 Scott is a household name among the local sailing fraternity. Not only is he Commodore of the Phuket Yacht Club (formerly ACYC), but a dedicated racer who has just returned from winning the prestigious Coronation Cup at Jomtien Pattaya, one of four annual regattas which make up the Platu 25 One Design Championship..
Scott talks enthusiastically about Thailand’s largest fleet of one-design keel boats. Designed by New Zealander Bruce Farr specifically for Thai weather conditions, it is a mono-hulled, 7.5 metre design named after a famous Thai fish, Pla-Tu. 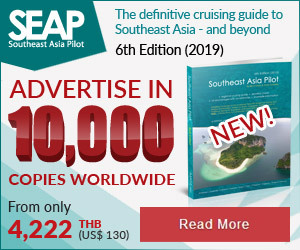 In the course of the Pattaya regatta, helmsman Scott and his four crew defeated teams from Japan, Russia, United Kingdom, Singapore, Malaysia and the highly fancied Easy-Tiger team from Sydney, Australia. A sweet victory. Incidentally he is the only skipper to have won this event back-to-back and this 2016 victory made it a history-making three-peat in his boat Kingdom Property. Asked about his number of triumphs in sailing events, Scott modestly declined to remember… They are many. His prowess as a sailor is legendary. He is passionate about other, equally worthwhile things. As befits a leading security expert, Scott – ironically talking while his five-year-old is absorbed in a smart phone game – is deeply concerned about the dangers of the media revolution. While useful as a business tool, there are huge security risks. Social media makes its users vulnerable, not just to the prying eyes of Thai authorities, but to exploitation by unscrupulous, unseen agencies and criminals. Hence his distrust of Facebook. Scott wistfully observes, safety and security is not a priority for most Thais. Scott’s concern for ecological matters is equally heartfelt. He lives with his wife Cattaleeya and two boys, Ryan aged five and Zac aged eight in Parlai, very close to the new dolphinarium. He thoroughly disapproves of the venture. 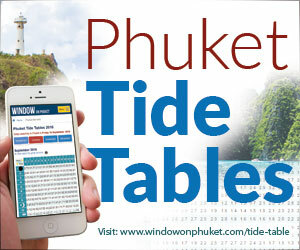 And while he is aware that in some respects, Phuket has made positive strides –“When I first came it was tough buy a loaf of nice bread or get a decent cup of coffee” – he agrees that so called “development” on the island has been too haphazard and to the detriment of the environment . It is hard to imagine Scott doing anything by halves. His obvious success as a business executive mirrors his winning ways as a yachtsman. With an Australian background and experience in innovative areas such as Computer Aided Design (CAD), Scott’s budding interest in matters maritime led to his morphing into a shipwright designing and building boats. Leaving Adelaide for Thailand in 1991, and working for four years in the then fledgling marine industry, Scott has worked for three different international security companies, the most recent being the over-hundred-year-old Danish company, ISS Facility Services, where he now fills the role of General Manager, Aviation and Southern Thailand. ISS is a massive enterprise operating in 77 countries worldwide, with more than half a million workers, including 35,000 in Thailand alone. In the company’s Southern Thailand region, which consists almost exclusively of Thai personnel – 1,000 of them – much of his time is spent communicating with his large team of sub managers. Developing operating procedures and raising service quality standards are always high on the agenda. If you will pardon the pun, it is not all plain sailing. He bemoans the fact that good workers are difficult to recruit and that site level turnover is a staggering eight percent per month and labour shortages are a fact of life. Nonetheless, ISS Facilities Services, which specialises in aviation, commercial security and support services at Suvarnabhumi, Phuket and Chang Mai airports has an enviable track record, both globally and locally, filling the Number One spot in the International Association of Outsourcing Professionals (IAOP) awards 2013-15. Scott is now 50 but looks, behind the shades, and even after a hard day’s night on the red wine, much younger., He is obviously in great physical shape. But he anticipates the day when he will spend less time racing, and more time helping to develop the sport among young people and especially his children. He enjoys teaching and passing on his expertise. A friend, Duncan Worthington , recently opined that not enough was being done in Phuket at grass roots level. Scott agrees, saying that he would like to change the stereotype of sailing as an activity dominated by “rich old codgers”. How nice, he mused, it would be to sit here and watch the sailing with your young family, or even better to watch them actually participating. Scott’s oldest, Zac, is not only a fine swimmer, but is already ‘messing about in boats’. If Scott has a hand in such developments, they will surely happen.